Tosafist; supposed to have been killed in the York massacre of 1190. In Tosef., Yoma, 27a, he is called Elijah of , and in Tosef., Zeb. 14b, of , which Gross ("Gallia Judaica," p. 22) identifies with "Everwic" (Latin, "Eboracum"), the medieval name of York. The word "ha-Ḳadosh" (the Saint), which follows his name (Tosef., Zeb. 14b), being generally the designation of a martyr, the supposition is that he was one of those who were killed in 1190. 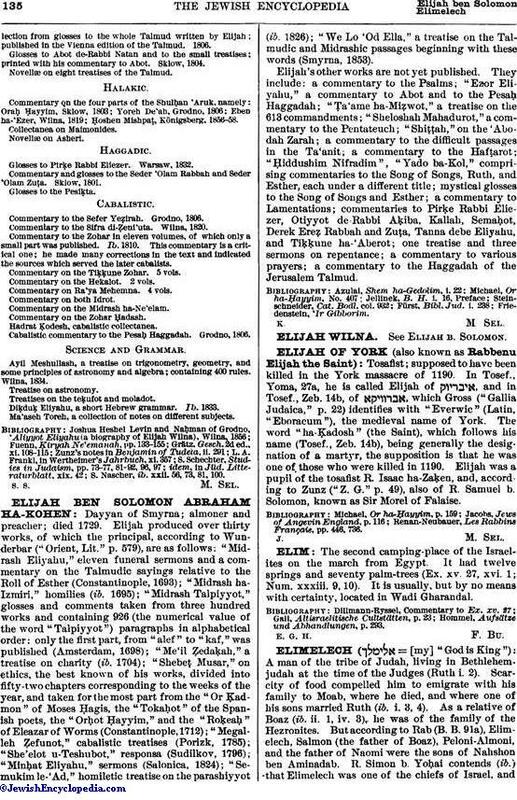 Elijah was a pupil of the tosafist R. Isaac ha-Zaḳen, and, according to Zunz ("Z. G." p. 49), also of R. Samuel b. Solomon, known as Sir Morel of Falaise. Renan-Neubauer, Les Rabbins Français, pp. 446, 736.